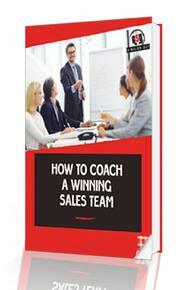 EBook - how to coach a winning sales team. There is a right and a wrong way to effectively coach your sales team. Are you doing it right?? If you want to improve your coaching skills and establish a winning coaching culture, this eBook will help. Download now and start building your coaching skills.